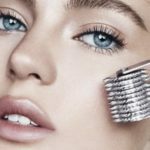 Eyebrow Microblading is an innovative technique with semi-permanent results. You can get fabulous eyebrows for up to 2 years. Let’s explore everything there is to know about this procedure, and then we will tell you how to book an appointment with us. 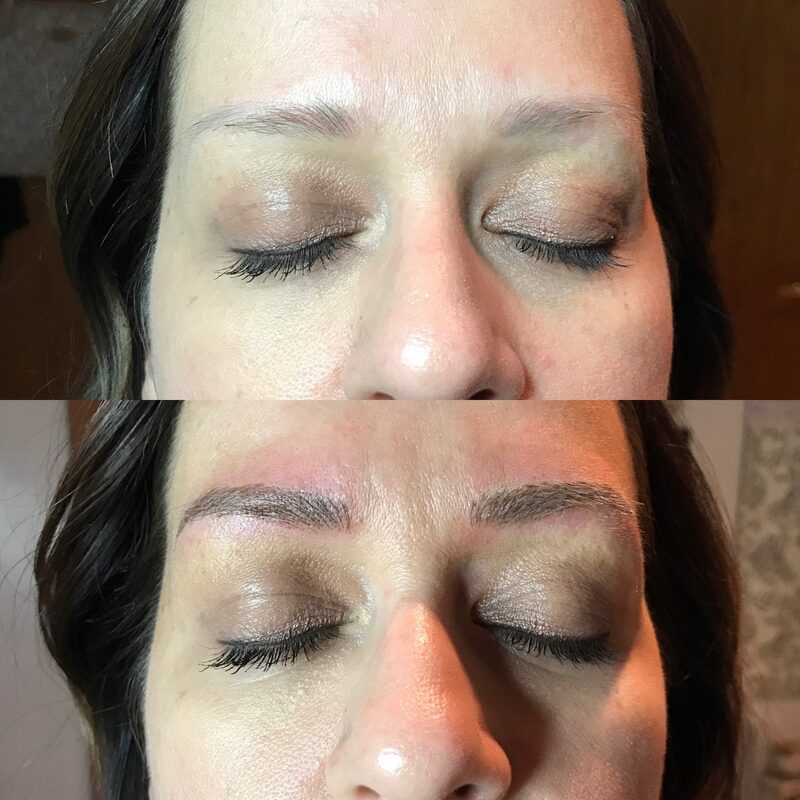 Microblading is a technique similar to tattoos. It consists on the pigmentation of the skin. The difference from regular tattoos is that the procedure is done implanting the pigments in a not so deep layer. As a result, the eyebrows will look just as your natural hair. The inconvenient is that the pigments will fade over time. The procedure will give you gorgeous eyebrows for up to two years depending on how you take care of the Microblading job. If you want more lasting results, then maintenance is recommended. Make sure you spare enough time for your Microblading procedure. It is a meticulous job. Each hair is highlighted manually. This should be done carefully and with no rush to get a professional outcome. Most places will ask you for a couple of hours. We request two and a half so that there is enough time to choose and work. Despite most cases are finished in a 2-hour timeframe, few will need the extra time for a perfect job. Once you get to our appointment, take your time to discuss which eyebrow style you want to follow. Remember that your eyebrows will look really bold at first. After the first few weeks, the darkness will have decreased around 40%. After the first session, a touch up session is needed because your brows will fade off a lot. Afterwards, the depigmentation will slow down. Consider all these points when you chose your style. It will stick with you for some time! As for maintenance, it is a set of touch-ups. You can enlarge the life of your eyebrow Microblading indefinitely. Some clinics recommend maintenance every year, while others stand for six months. In any case, we recommend you to keep a close eye on the depigmentation progress. It is different from one person to another. Whenever you see that your eyebrows start to fade, schedule a maintenance session. Unlike the full session, a maintenance procedure can take from 30 minutes up to an hour, depending on how much retouch is needed. What most people want to know is if Microblading is a painful procedure. You need to be aware that there are needles involved, just as if you were under a procedure for a tattoo job. Therefore, be prepared to experience some pain. However, it is hard to tell how painful it is. The answer depends on each person’s pain toleration. Some people testify that they just feel a small pinch. However, others experience more pain than that as if they were being scratched. In any case, the pain is bearable. For pain management, most eyebrow Microblading procedures are performed with some sort of local anesthesia. 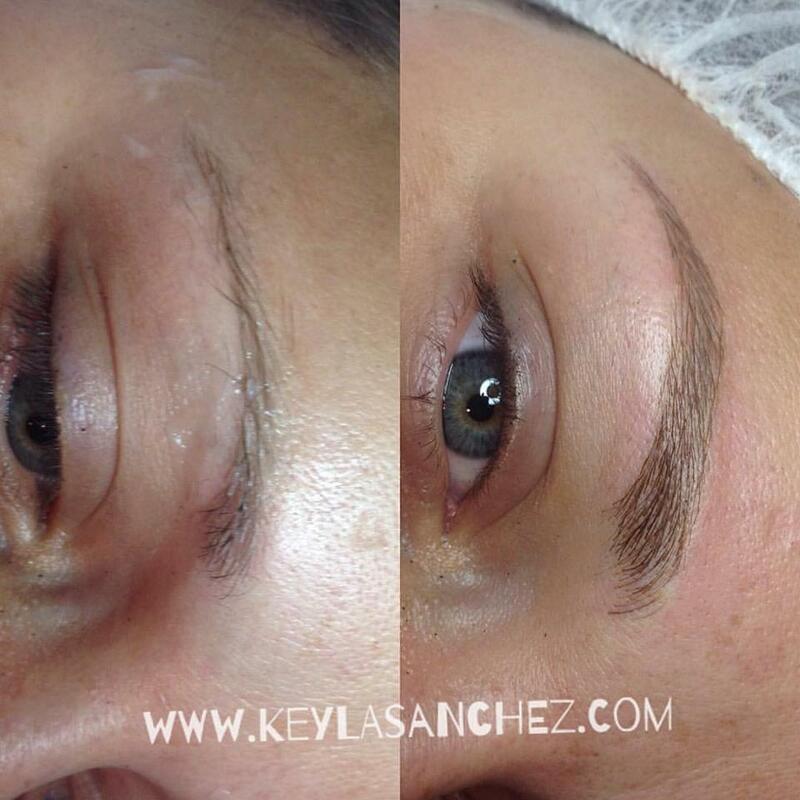 At Keyla Sanchez Aesthetics, we use a topical anesthetic. This usually eases most discomforts. Once the effect is gone, few people experience any pain. Redness is common, and you should follow the given instructions to get the best of your eyebrow Microblading application. Avoid alcohol at least 72 hours before the procedure. Avoid any blood thinners. The most common counter medication under this category include aspirins, ibuprofen and retinol. Do not tan or get to your appointment with a sunburned face. We recommend you to follow these advices so that you get the best results and the least discomforts. Avoid applying moisture in the eyebrow area right after the procedure. Only apply the ointment you were told to use after the procedure. Do not expose your bladed area to sweat. Pause your workout sessions and don’t get to places with excessive heat for a full week. Do not swim or sumerge your face under water for a full week. Apart from these recommendations you should continue your life normally. We will perform a perfect eyebrow Microblading job. Call us to book your appointment now! The total price of the procedure is $450, but you don’t need to pay it all as you make the appointment. All we are asking for is a $100 down payment to guarantee your place. This is important, as the reserved space is of 2.5 hours. Once we get your deposit confirmation, your space will be untouchable. The day of the procedure, you will have to pay the remaining $350.